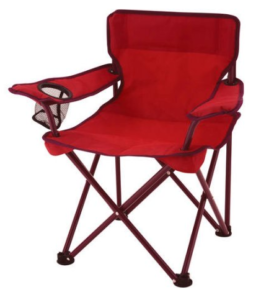 Walmart offers the Ozark Trail Polyester Kids' Chair with Carry Bag in Red for $5.97. Choose in-store pickup to dodge the $5.99 shipping charge! It collapses for easy storage and transportation.